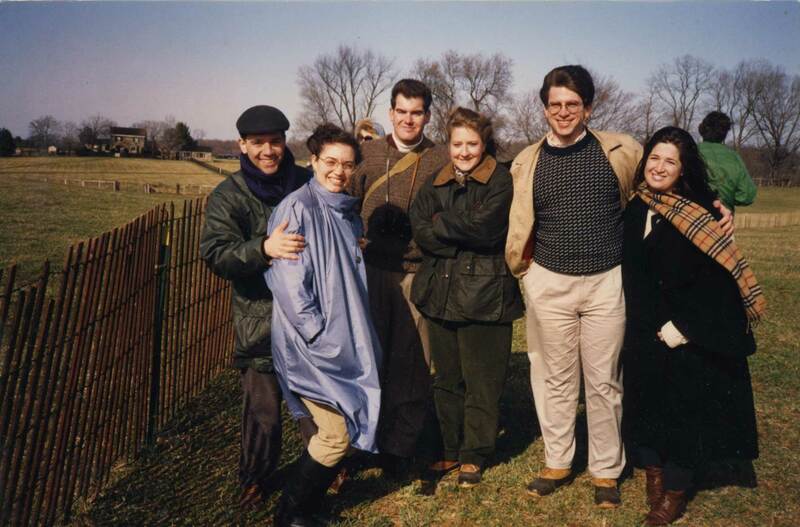 I was going through a box of old photographs this week when I found an image that summed up the early 90s for me: a gathering with my friends at the Piedmont Hunt Point-To-Point Races in Upperville, VA . We spent countless weekends in the beautiful Virginia countryside. Decked out in Barbour, Burberry and L.L. bean, we look as though we might have walked right out the pages of The Official Preppy Handbook. The clothes are casual classics of very high quality and, of course, contain natural fibers. I am second from right; and I still have the L.L. Bean Boots and the Norwegian Fisherman’s Sweater. Preppy clothes last!